Ottawa-4/12/04-Ottawa Senators vs. Toronto Maple Leafs. Game 3 playoffs. Second period action. 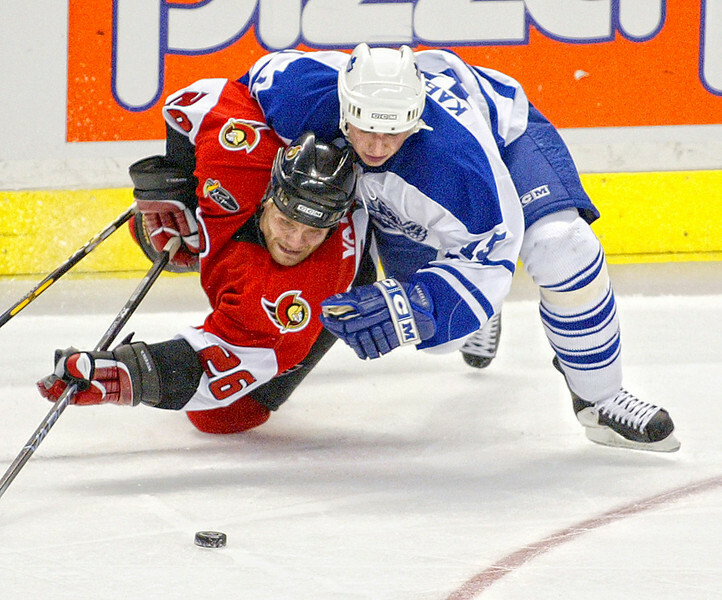 Tomas Kaberle tackles Vaclav Varada. Photo by Patrick Doyle.